100% New Handbag of ToLFE Brand. The dimension may be 2 cm/1 Inch in accuracy due to hand measure. 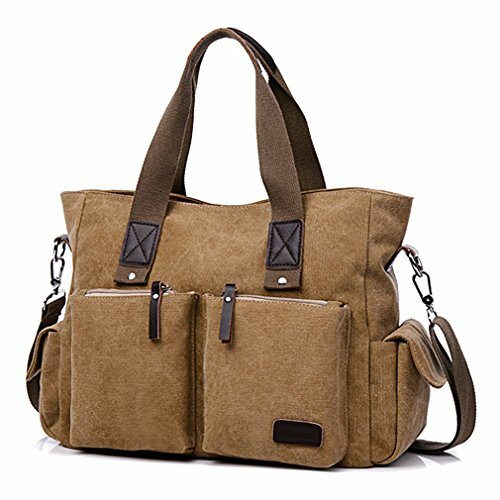 DIMENSIONS: 14.96''(L) x 6.30''(W) x 11.42''(H); double handles with 7" drop; adjustable shoulder strap with 35" to 58" drop. POCKETS: 1 Generous main pockets, 1 Tablets pockets(fits up to 14" laptops), 1 Inner zipper pocket. 1 Exterior back wall zipper pocket, 2 Front pocket, 2 side pockets. If you have any questions about this product by ToLFE, contact us by completing and submitting the form below. If you are looking for a specif part number, please include it with your message.